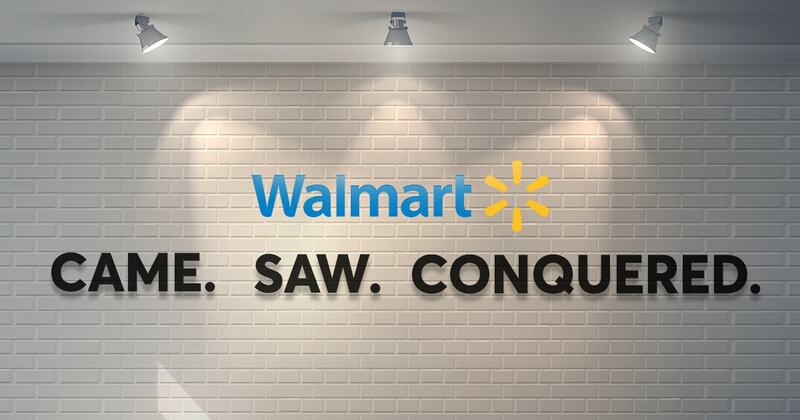 Walmart came, they saw, they conquered! Flexiloans / Industry / Walmart came, they saw, they conquered! After pursuing India for several years Walmart finally marked its entry in India through none other than our very own (not anymore!) Flipkart. And at what cost? Precisely $16 billion for a 77% stake in the e-commerce giant! That’s a heavy price for a loss-making company, but then again when in love you do things blindly! And how did Walmart’s fan at WallStreet react to this decision? Their stock dropped to their lowest intraday price since October 2017, wiping $10bn off its market cap. According to analysts Walmart overpaid its stake in Flipkart. Currently, e-commerce makes up a mere 4% of our retail market but with the widespread growth of internet and Smartphone’s this trend is likely to change and work in favor of e-commerce. 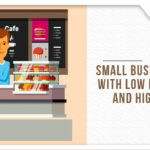 Flipkart’s acquisition will benefit small and medium businesses especially the groceries segment in terms of supply chain efficiency. Speedy deliveries would help perishables and take organized retail forward improving customer service. Just how Walmart appealed to the youth through Jet.com a similar trend is likely to follow here in India. Not only that, Flipkart will be able to harness Walmart’s abilities to manage its internal business processes and create a strategy that works well with the discount retailing business in India. With Walmart stepping in, low prices will follow suit, this, in turn, will provide higher purchase volumes and lead to economies of scale which will further reduce prices. As per Walmart’s experience of leveraging large purchase volumes for greater control over suppliers would help contribute to efficient returns management and promotional spending. Walmart’s relation with suppliers is always collaborative and its practice of sharing data related to sales, geography forecasting and shopping helps manage, offer and deliver a good cost efficient and revenue generating product mix. This acquisition will bring about an improvement in Flipkart’s current supply chain, data analytics and the seller management process. This might not be good for the small players but Walmart will bring plenty of private labels to India giving consumers a wide variety of options to choose from and better prices to pick as well. Looks like we all will soon be spoiled for choice! As published in a Bloomberg article: Customers should not expect a lot of changes in their shopping experience after the deal’s consummation. But they’ll definitely get more to choose from with Walmart’s private labels differentiating the merchandise, according to Adrian Lee, a research director at Gartner. “Flipkart will diversify its inventory to attract more Indian consumer segments that still haven’t started shopping online,” Lee said in an emailed media statement. This deal is expected to attract foreign strategic investors who have been eyeing India for a long time. It would help bring start-ups funding and start-ups are likely to rise. It will also be a boost for the venture capitalists who look for exits and in the long run power the VC space as well. From investors, founders and even employees have turned millionaires overnight thanks to this deal. Japan’s SoftBank Accel Partners and Tiger Global Management put together have raked in an exit of over $8 billion with this deal. Since Walmart comes with decades of experience in retail, bringing private labels here will put our domestic retailers in a tough spot to compete with them. Current e-commerce players might not be able to keep up with Walmart deep discounts and will thus exit, leaving the price making decision to a sole player. It is speculated that in the long run retail in India might be dominated by players like Walmart and Amazon. Rumors also suggest that they might enter offline space and the government might not be able to control or regulate such foreign-owned platforms. That’s why before its too late the government should step in to put in some strict rules and guidelines in place for e-commerce ventures. What are your thoughts on this, comment below and let us know. Home » Blog » Industry » Walmart came, they saw, they conquered! Unemployement would rise , banks would suffer , mayhem would continue even then….